The following page contains a general history of the standardization of lettering and design as it pertains to monuments and memorial headstones in the United States and Canada; placing specific individuals, companies, organizations and events in their chronological order. Links to more detailed accounts will be added as they are written. Much writing has been done on the subject of the pre-industrialized “colonial” gravestones of North America between the seventeenth and eighteenth centuries. The craftsmen of this period predominately used slate or sandstone to create beautiful yet mostly rudimentary memorials. The lettering was typically of a modern “printer’s roman” style which varied from carver to carver, containing ligatures and unique anomalies often used to correct mistakes due to a lack of laying out an inscription prior to carving. Some writing has been done specifically on the lettering of this period, but very little. Even less information can be found on the engraved letterforms of the memorials of the late 19th and early 20th centuries. The Monument Lettering Center picks up its research here, after the industrial revolution, and as a more collective lettering and design ideology begins to emerge in the burgeoning monument industry. Around the mid nineteenth century, on the heals of the industrial revolution, monuments were still largely created by hand; typically of marble, a soft stone beautifully suited for hand carving. 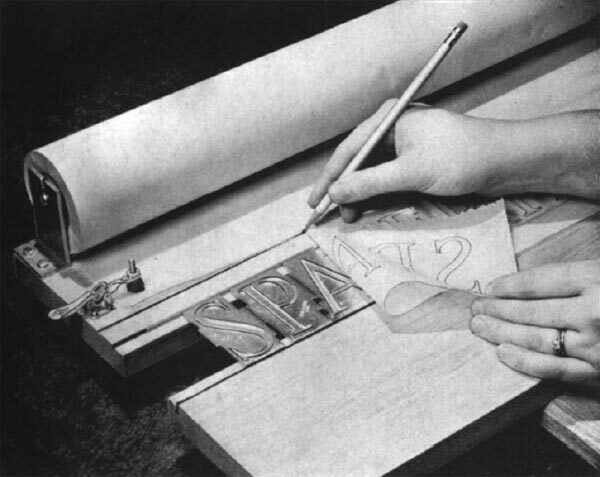 Highly specialized letter carvers were employed to engrave inscriptions, using varied alphabets and lettering styles, mostly following the lead of popular print/advertising design and lettering styles outside of the monument industry. Though there were many changes in the technology of quarrying and cutting stone up to this point, little has changed in the process of letter carving. In 1865 Quartermaster General Montgomery C. Meigs is given the power to begin a federally funded headstone project for the civil war dead. The project will see many years of problem solving before coming to fruition, but will go on to have a large impact on the way memorials are produced. The project will also go on to cause the creation of two standardized alphabets for use on veteran headstones. Benjamin C. Tilghman invents and patents the sandblasting process. Throughout the 1870s Tilghman would continue to improve upon his design and apply for new patents. At this point in time sandblasting is mainly used for sharpening and cleaning metals, and etching glass. The sandblast process begins being used for letter engraving but will not be fully adopted by the monument industry for some 50 years. After years of attempts to start producing markers for the civil war headstone project which first began in 1866, the government awards five companies with contracts for the production of headstones for civil war veterans. To keep up with the amount of memorials needed for their new government contract, the Sheldon and Slason Co. begins using the sandblasting process on civil war memorials. They are among the first to use the process for large scale production. Though the softer marble is still being used by many for headstones, by the 1880s granite begins growing in popularity amongst memorial makers. Because of its hardness, the type of tools needed to properly engrave the stone are impacted. This begins to increase the experimentation and use of sandblasting by larger manufacturers. New methods are being employed to increase production time and quality of gravestone manufacturing, and the occupation of memorial draftsman is created. William Jack becomes one of the first memorial draftsmen and produces a book of full sized old english capitals intended for reproduction by tracing, one of the first books of its kind. Efforts to speed up the memorial making process continue. 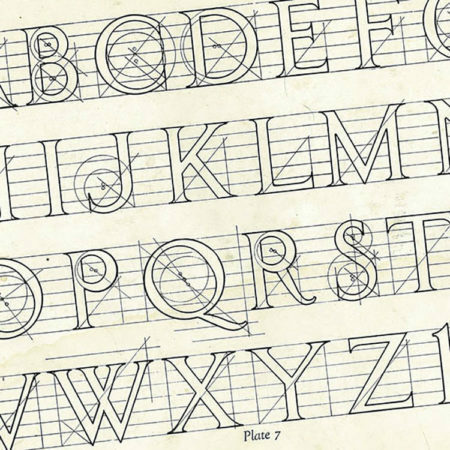 Standardized lettering styles specific to the monument industry begin to be more thoroughly documented and distributed through articles in trade publications, the creation of lettering plates, and the printing of lettering books. These advances begin giving less specialized workers the ability to complete the lettering on a memorial. F.A. Church begins his Practical Lettering for Memorials column in the American Stone Trade magazine, with the intent of educating the industry on a mechanical process to allow less skilled draftsmen to lay out lettering without freehand drawing. Church will go on to have a book printed under the same name. The Monumental News Magazine publishes the Manual of Monumental Lettering, the first book of its kind. Robert B. Knox of the Jones Bros. Company creates and markets lettering plates for quickly laying out lettering on stone. 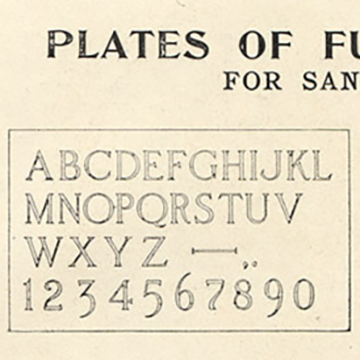 He takes out an advertisement for his plates in the back of the Manual of Monumental Lettering book. 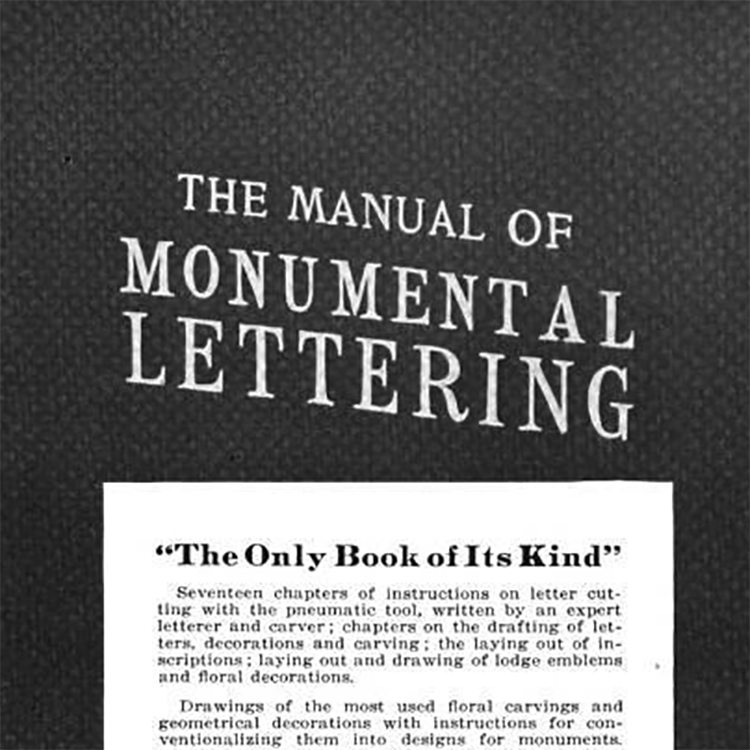 The Vermont Marble Co. produces and distributes its lettering book to the monument industry. The book contains examples of the established memorial lettering styles. George DiBona and Timothy Jellow patent metal letters for tracing an inscription and the Spacerite Company is born, dramatically reducing the time it takes to lay out an inscription on memorials. The system removes the need for a skilled draftsmen to draw lettering by hand. 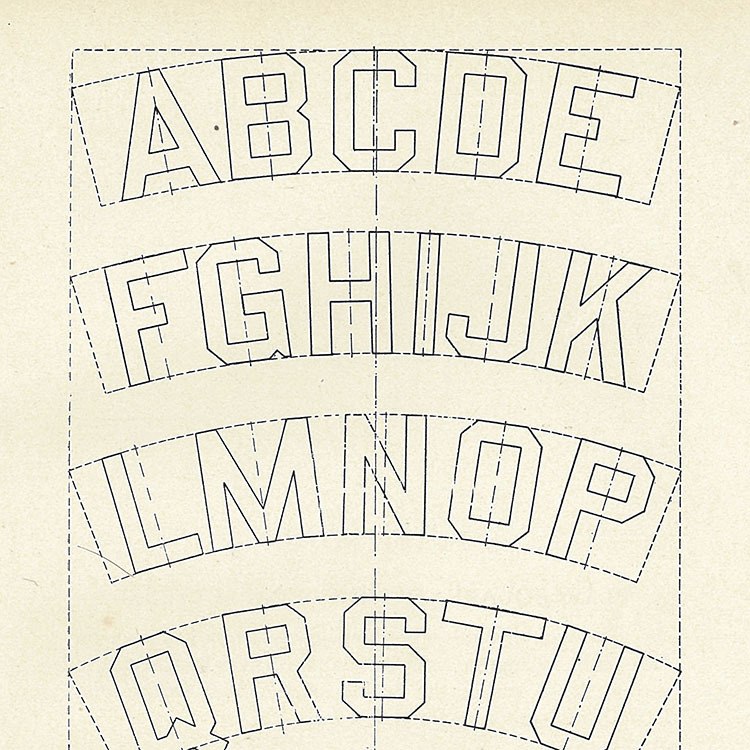 Though the Spacerite system is gaining ground in the monument industry, many memorialists continue to draw their own lettering by hand, and others begin to create lettering plates and blueprints of their own alphabets to be used by the industry for laying out letters and inscriptions. 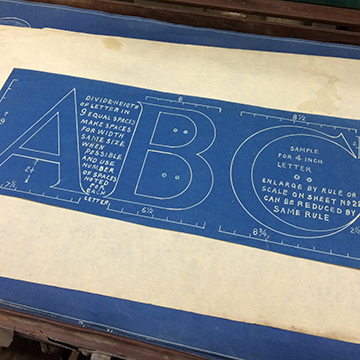 Draftsmen Matthew Lindsly produces a large series of design and lettering blueprint templates and sells them to the monument industry. Pencil Points Magazine publishes a lettering book by architect Egon Weiss which is based on his articles published in 1928. A crossover publication covering both print and memorial lettering, the book contained a new system for spacing inscriptions, and would go on to be hugely influential in the industry. 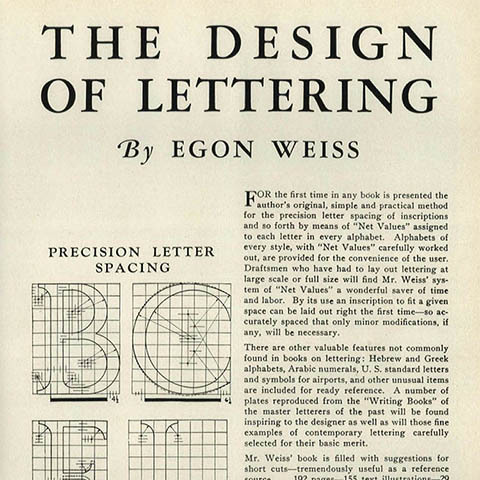 The Floyd A. Holes Company (later “Holes & McClellan”) begins producing lettering plates for the industry based on the work of Egon Weiss and his letter spacing system. The plates are first introduced at the 1937 Memorial Craftsmen of America national convention. 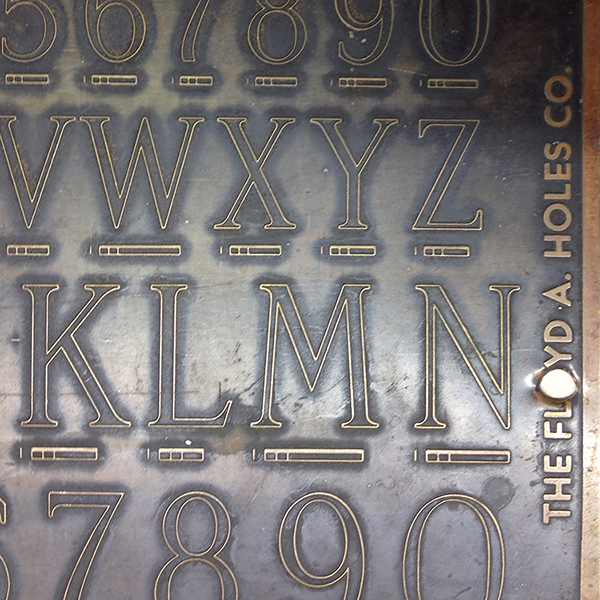 By 1940 sandblasting has completely overtaken hand carving as the method used for engraving memorials, the Spacerite letter system has been widely adopted by the industry, and the first stencil die-cutting letters are invented and produced. Emile C. Franzmann invents and patents the industries first stencil die-cutting letters. The Presto Cut system eliminates the need for hand cutting stencil, but is still somewhat tedious and sees limited success. Sand-Craft Service of Oshkosh, WI begins producing a series of design portfolio manuals for sandblast engraving. The series continued for some 20 years. The blueprint or full color design books include full-size designs, design elements, emblems, and alphabet examples. The Spacerite system still reigns supreme, there is some pushback against the predictability of the lettering. Many manufacturers begin creating their own alphabets for reproduction, and modifying the Spacerite letters while cutting them in the sandblast stencil, creating sans-serif and other variations of the alphabets. Though it has become increasingly rare to see hand drawn lettering on headstones up until this point, there is a slight resurgence during this period. The stencil press is invented and patented simultaneously by two companies, and plastic stencil cutting alphabets and designs are created. The time taken to lay out and cut a design and inscription in stencil is drastically reduced. Two Companies immediately kick off the stencil press revolution: SKS Limited and Gaspari. 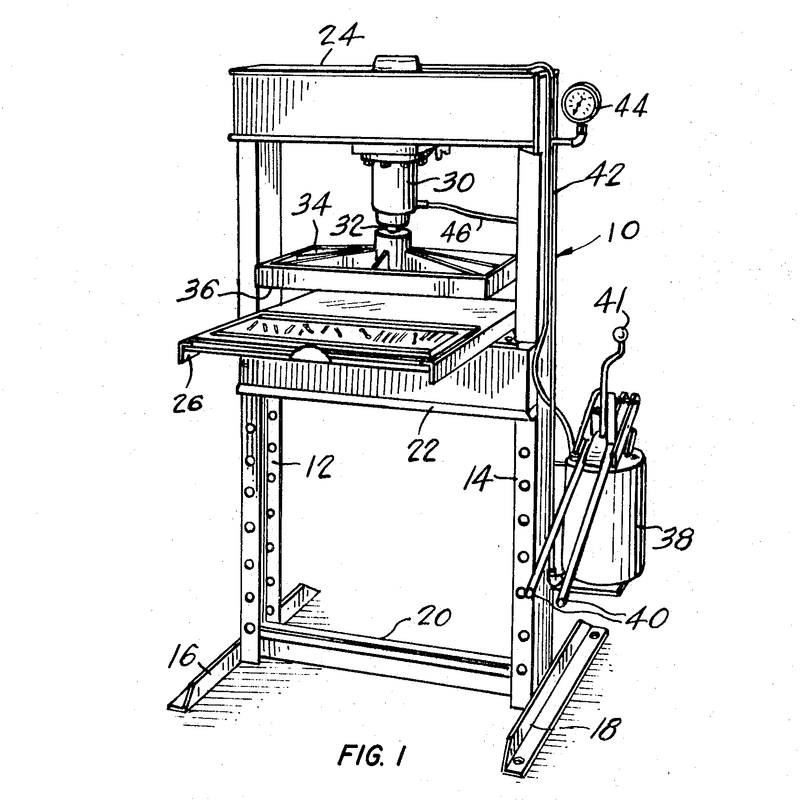 In 1968 Anthony M. Gaspari applies for patents for both stencil cutting letters and a stencil press machine, and immediately teams up with PALL (Canada) Limited. PALL’s Stencil Cutting Machine Division begins distributing Gaspari stencil cutting dies and equipment. 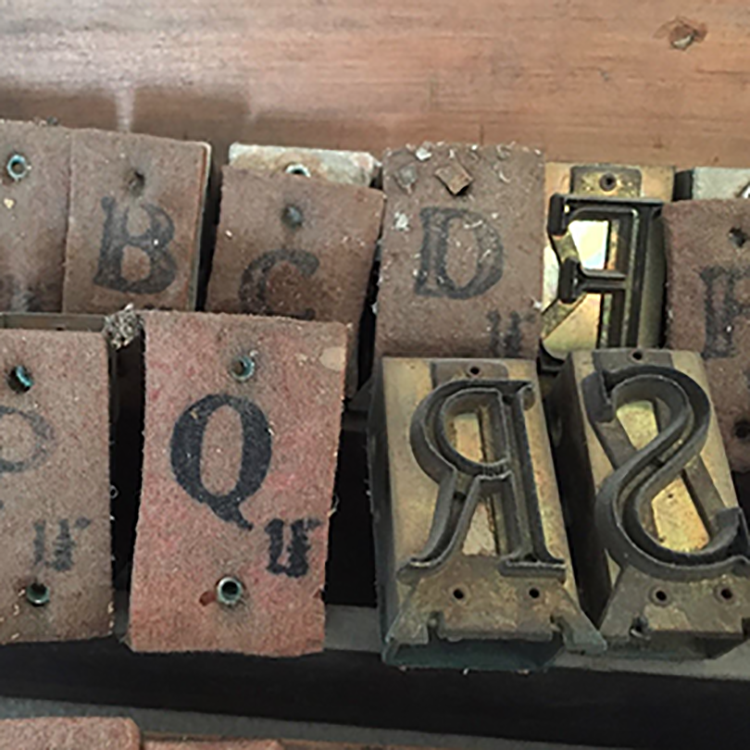 Learn more about the stencil press era. SKS is created by Edmund Sandborn and Alfred Azzopardi. 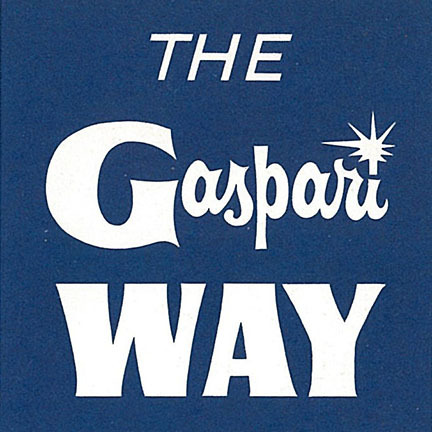 Along with Gaspari, in 1968 the duo also applies for patents for both stencil cutting letters and a stencil press machine. 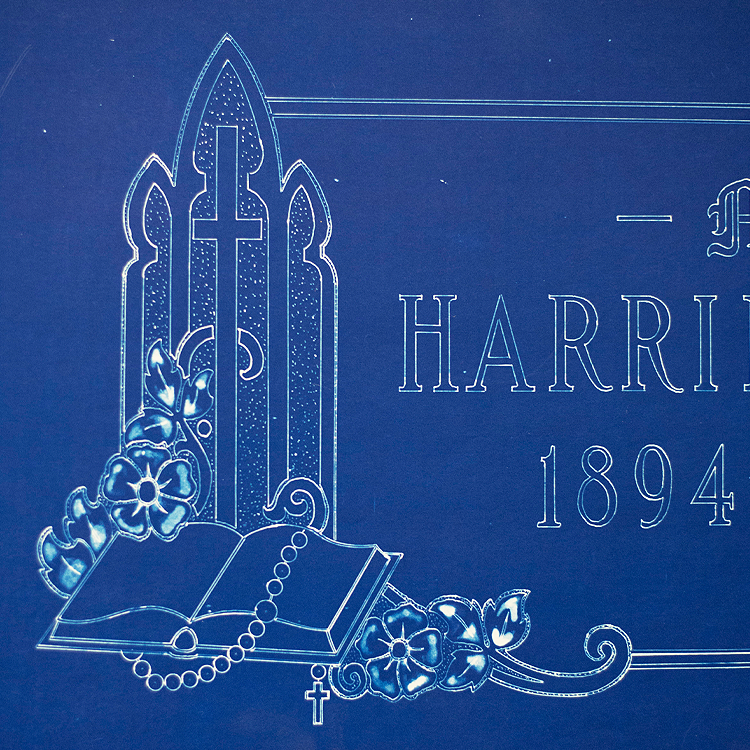 Stencil cutting dies continue to saturate the industry as more and more monument manufacturers begin using the stencil press for cutting memorial designs in stencil. New stencil press design companies are created, giving birth to many versions of the classic memorial alphabets, as well as never before seen lettering styles. The SKS Ltd Company purchases the PALL line of stencil cutting dies. Around the same time as the SKS purchase of PALL, with the help of his father Anthony, John Gaspari teams up with Imre Adler to produce stencil press letters and designs under the name Allied Industrial Sales Corp. 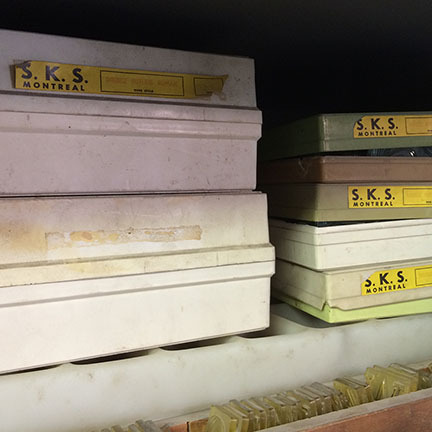 The 3M Company purchases SKS Limited and produces the stencil cutting dies under the new name: ScotchKut Systems. The Allied Industrial Sales Corporation cutting die operation changes hands. 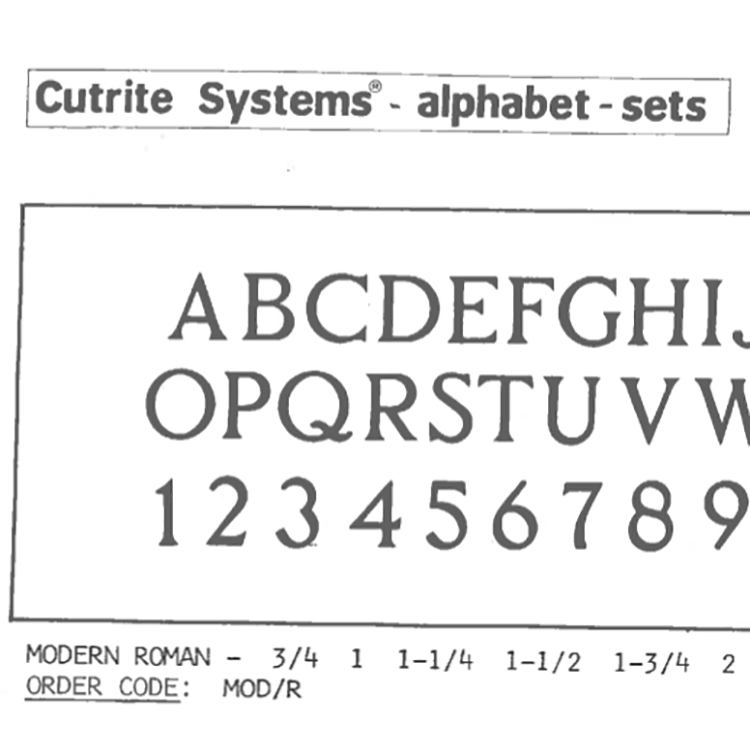 PMD International is born, and the alphabets are marketed under the name Cutrite Systems. The monument industry sees its first use of CAD (computer aided design) systems and mechanical cutting plotters. In 1986, Monumental Computer Applications, Inc. begins marketing its monument industry specific computer software, Monu-Cad. The system includes CAD software and a stencil cutting system to replace the need for hours of manual labor. In 1987 Cochran’s Monuments begins marketing a CAD system for creating designs and cutting sandblast stencil under the name Cochran’s Quick-Cut Systems. Computer aided design (CAD) software and stencil-cutting machines begin taking over. The trend towards personalized and “pictorial” memorials that began in the late 1980s continues to grow. The Spacerite Company was able to survive through the stencil press era, but around 1990 the company closes its doors and Granite City Tool of Vermont purchases the remaining production equipment. Spacerite alphabets can still be purchased through GCT. Though there are still some who prefer the old methods, the computer era of monument design is well underway. The flexibility and speed of using computer systems for designing memorials further heightens the growing shift towards personalized memorial designs. The demand for plastic cutting dies dwindles. The 3M Company makes the decision to discontinue ScotchKut Systems, selling the remaining stock and molds to Granite City Tool of Vermont. Granite City Tool continues to produce the cutting dies for the industry. Beginning at a single monument shop in the mid 1990s, the MemorialDESIGNER suite of tools for CorelDRAW is first released to other monument companies. With an emphasis on creating color renderings, as well as speeding up and simplifying the design process, the software marks a giant leap forward in keeping the industry in step with modern computer graphics. It is the only memorial design software which utilizes the power of drawing with Wacom tablets, and fully supports OpenType fonts and features–a perfect match for MLC fonts.